Federal officials are proposing changes to national beer standards that would widen the number of ingredients permitted in a pint and force brewers to list every ingredient on a can or bottle. Even the Canadian definition of "beer" would change. Your beer is about to undergo a government makeover. Federal officials are proposing changes to national beer standards that would widen the number of ingredients permitted in a pint and force brewers to list every ingredient on a can or bottle. Even the Canadian definition of "beer" would change. The changes would mark a major overhaul of beer standards introduced more than 30 years ago, but they must first go through public consultations quietly launched days ago. Even if it is 'peak beer,' is there still a play to be made in craft brewing? Beer aficionados who have closely watched the industry for years say the proposals would help regulations catch up with an explosion in styles and types of beers. Between 1990 and 2017, the number of Canadian breweries jumped to more than 750 from 62, while the number of beer brands has risen to more than 7,000 from about 400. Stephen Beaumont, co-author of The World Atlas of Beer, said there are any number of beers on the market today that violate the existing standards, either through ingredients or fermentation methods. "This is all stuff that is going on, and the regulations just haven't been there to catch up to all of it," Beaumont said. No longer would beer be required to "possess the aroma, taste and character commonly attributed to beer" or be categorized into different styles or types like ale, stout, porter and malt liquor. Instead, officials are proposing to set limits on sugar content and simplify language around the use of additives that would set define what is a beer. Added to that would a wider list of herbs and spices among other ingredients that can be used in the brewing process. "We're not going to be excluding anything that is currently defined as a beer, but it does provide … criteria for brewers to work with," said Luke Harford, president of Beer Canada, a national trade association that represents more than 50 companies that make about 90 per cent of Canada's beer. "It allows them to hold on to what is traditionally thought of as a beer, while at the same time allowing them to innovate within that category." Brewers could use different fruit, lavender or coriander for instance, providing options to smaller operations which want to test something new in the marketplace, said Dirk Bendiak, technical adviser for Ontario Craft Brewers. He said the proposed regulations won't stifle creativity. "If anything, they are there to make it more creative for different people." Lastly, beer would be subject to stricter labelling rules, which would require a longer list of ingredients on bottles and cans, so the approximately 1.75 million Canadians with food allergies, celiac disease and sulphite sensitivity can better decide what they want to drink. A government analysis says the changes would allow for innovation in the beer industry, but said some small craft breweries could find meeting the new requirements difficult and some drinks may no longer be considered or marketed as beer. "The most important thing you could do if you're a craft brewer would be to get a handle on how to add ingredients these lists," said Jordan St. John, co-author of The Ontario Craft Beer Guide. "The labelling component and making sure people understand what they're getting — that's really beneficial for the consumer. It's just that getting there is going to be a bit of a pain." The government is proposing a two-year implementation period starting in 2019. 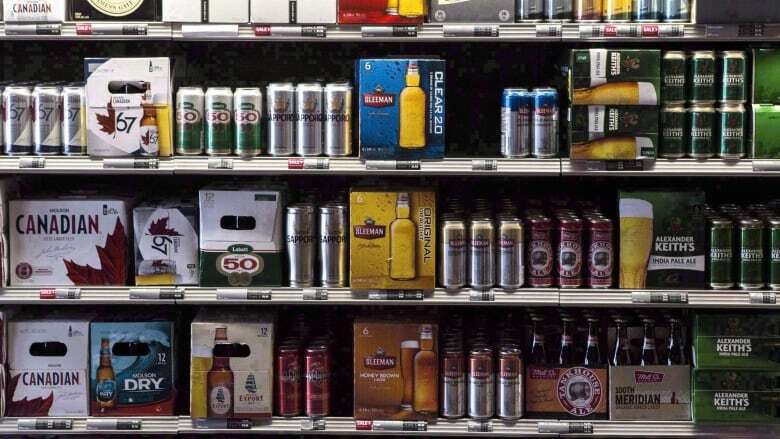 Between then and 2029, the government expects the new rules to cost the beer industry in Canada about $5.48 million. Statistics Canada reported in May that Canadians spent $9.1 billion on beer between April 2016 and March 2017 — about 40 per cent of all alcohol sales over that fiscal year.